Congratulations to "Kim", the winner in Michelle's giveaway. Please contact JUST CONTEMPORARY ROMANCE to claim your prize! 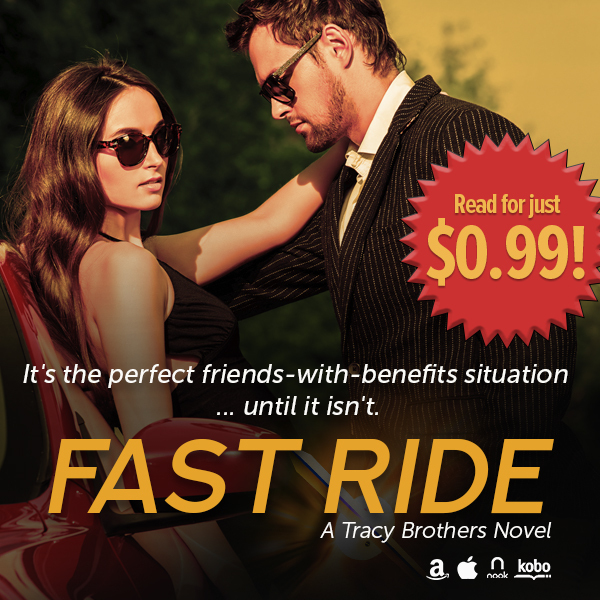 Michelle is giving away a $10 Amazon gift card plus an ebook copy of Fast Ride to one lucky person leaving a comment or email entry. Giveaway ends 11:59pm EST Oct. 9th. Due to GDPR regulations you no longer need to submit your email address in the comments. If you have been selected as a winner your name will be posted at the top of the post. You may then contact maureen@JustContemporaryRomance.com to claim your prize. Your email address will be shared with the author/publicist providing the giveaway. I already had Fast Ride on my to-read list but this one sounds just as great!! Thanks for sharing it with us! I like the sound of this. Would love to see how Justin and Maddy's meeting goes down. I have Fast Ride on my kindle... have not gotten to it yet... Justin's story sounds like a story I would enjoy! How many Tracy Brothers books will there be? Love the cover and sounds pretty great, definitely going to want to check out both books!